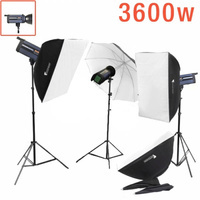 Need ALOT of flash power within your studio? Are you ready for the POWER? 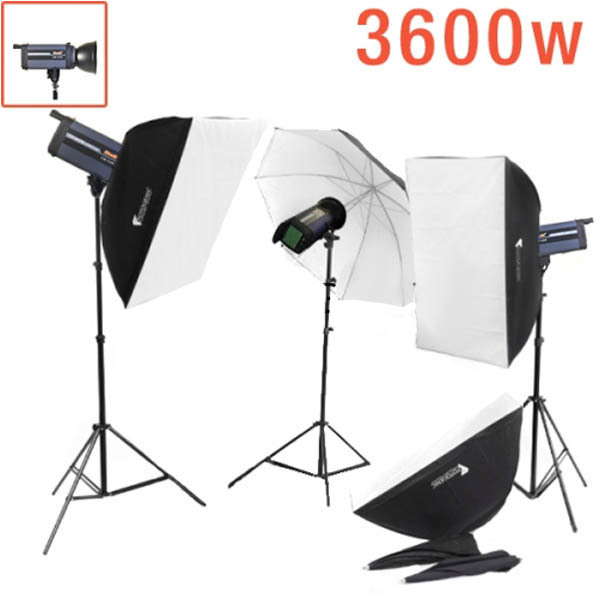 This kit is powered by 3 x 1200W, which is recommended for professional photographers and photographers shooting within a larger studio space. 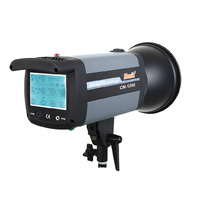 It has a digital LCD screen to control the output power, with a 6-stop aperture power output range. With a robust exterior and a digital temperature controlling system with an overheating protection protocol, these flash strobe units are built to last. 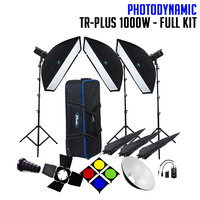 This kit also includes many accessories that will enable you to modify your lights to fit any lighting situation you encounter. 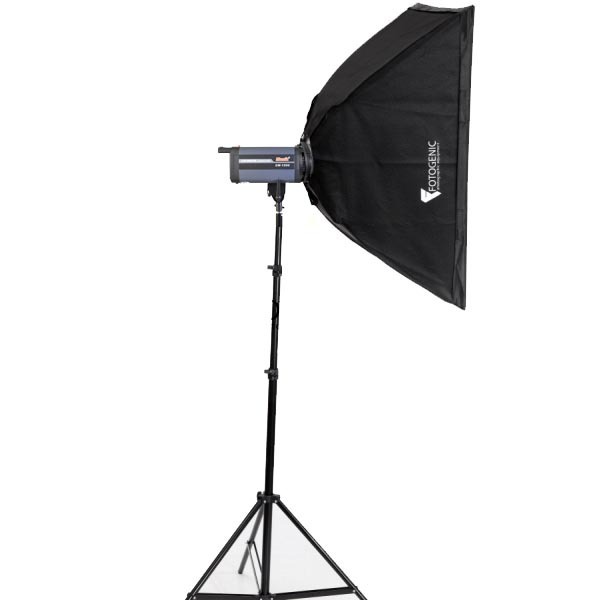 Accessories include soft boxes, light stands, carry bags and umbrellas. 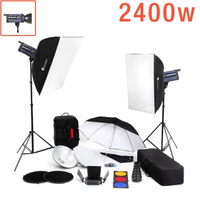 Super high power Studio lighting kit with full range of accessories. 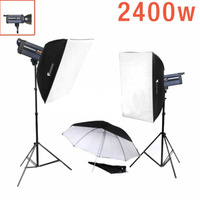 Each monoblock head is 1200ws, great for the larger studios. 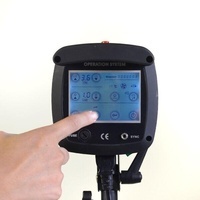 Large LCD Touch Screen operating system. High Guide number of GN110. 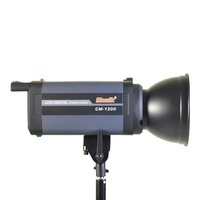 Digital temperature controlling system, overheat protective device with a intelligent cooling fan system. 2-3 second refresh time at full power. FSK 2.4GHz wireless remote system. 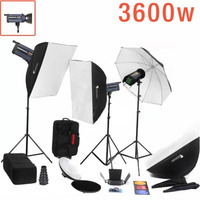 1/250s sync speed 16 different possible channels. 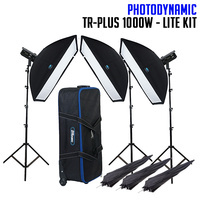 Carry Bag to store Light Stands and other equipment pieces. Designed to be easy to stow and carry. Fits your Flash Light Kit light stands and small accessories.